A tasty bowl of udon served at an ordinary restaurant might be listed at 420 yen and a soft drink from a vending machine - which are plentiful in Tokyo and other cities - might be marked 100 yen. That might sound like a lot of money, but it turns out that, at current exchange rates, that lunch would cost less than $5. I know that because I consulted Currency Converter, a free app created by Amdoren. The app offers speedy currency conversions for more than 150 currencies. If you’re traveling with a multi-national group, as I was, you could price noodles for everyone and show costs in Euros, Pounds or Pesos. 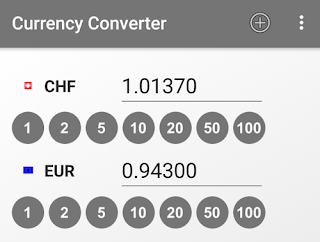 The free version of Currency Converter shows two currencies at exchange rates that are updated every 12 hours. 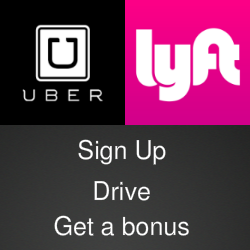 A premium version displays up to five currencies with rates updated when the app is launched. 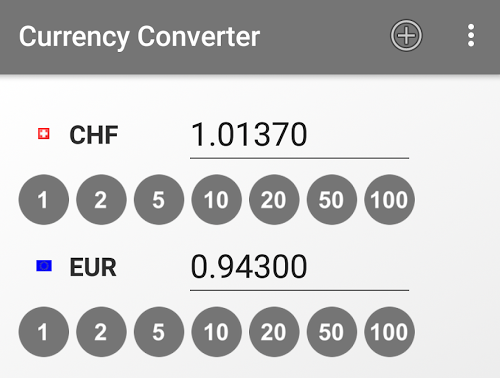 Currency Converter is available for Android devices in the Google Play Store. The premium versions a one-time price tag of $1.99, or about 128 Russian rubles.